Inspiri Interiors offer a friendly inspirational approach to designing your home. Working on all levels of projects, budgets and styles to help you create your perfect interior. From high end, whole house, to small scale single rooms that are in need of a re-design, contact us today to see how we can help you. At Bretton Studios we create beautiful interior design, for residential and commercial customers. We pride ourselves on our ability to understand our clients' needs and aspirations. We provide creative design solutions for both residential and commercial clients within the fields of interior architecture, interior design and styling. Created in 2010 and based in Darlington, GMW Interiors provides Interior Design and Property Staging services to create inspirational spaces that make the most of your living or workspace in terms of its appearance, layout and ambience. We work with homeowners, landlords, estate agents and small businesses. GMW Interiors is led by Gill Wilkinson, a qualified Interior Designer, a certified Home Staging and Property Styling professional and House Doctor® Consultant. Gill trained with House Doctor® Ann Maurice of Channel 5 television and is a member of the Home Staging Network. Gill is passionate about the process of creating beautiful interiors; as a qualified Interior Designer and certified Home Staging & Property Styling Professional she is able to provide a highly experienced service. The majority of GMW Interiors’ work comes from word of mouth recommendations. 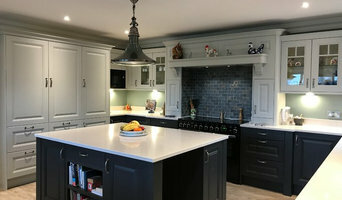 To ensure that their creative ideas are carried out to the highest standard, GMW Interiors has built solid relationships with a team of reliable and trustworthy tradespeople over a number years and would recommend them to clients with confidence. Milners of Leyburn, based in the heart of rural Yorkshire has been serving the Dales for over 130 years. We focus on stylish clothing collections for your wardrobe and elegant interiors for your home. We want you to love the way you look and love the way your home looks. We are dedicated to bringing you superb products and giving you exceptional advice and service. All our soft furnishings are made in house by our talented seamstress. We specialise in Interior, Kitchen & Bathroom design which is achieved through space planning, leading software to create high-quality HD realistic renders, tried and tested suppliers and quality workmanship. We place particular importance on the client journey through our tailored service and aim to create beautiful spaces that meet our client's requirements. A Bespoke Interior Design business with services tailored to your needs, desires and budget, making you fall in love with your home. Mila is now offering a full Kitchen Design package with free design and home measure! 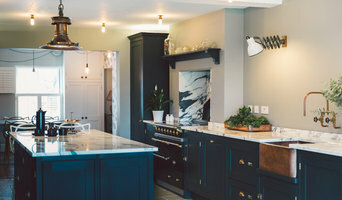 SW Design Group was founded by interior designer Suzanne Webster who has over 20 years of design experience and has featured in many of the leading editorial titles such as The English Home, 25 Beautiful Homes and Country Homes and Interiors. We have a team of professional designers running both UK and International projects/events. We have a reputation for creating a wide range of stylish interiors from high end residential to luxurious show homes and a list of regular clients who return time after time. From single rooms to entire houses we can advise on fabrics, wall coverings, window treatments, upholstery, lighting, flooring and bespoke furniture. We can work to any budget and timescale creating a beautiful finish. With over 20 years experience in the interior design industry, Forge Home Interiors can assist you in creating your perfect space. Whether you require advice on colour schemes, a selection of floor-coverings, a favourite chair re-upholstered or a fully project managed home refurbishment, we aim to provide a stress-free, quality service paired with stunning design solutions. We are happy to take on all types of projects; none are too large or too small. So if you Need a Little Help, then please do not hesitate to get in touch. At Cocoon and Bauer we live and breathe design. We are a team of passionate interior designers ready to help you achieve your perfect home. All of our projects are approached with our trademark creative flair and friendly service then delivered through our extensive professional know-how. Any changes in your home can be a daunting experience and everyone has their own unique personality. With this in mind we look at how you live and the lifestyle you want to achieve, what ideas you have and what budget you are working too. We will then talk through the project in detail to ensure that the design achieves a result you will love. We offer a full interior design service and our team of skilled craftsmen make sure all work is completed to the highest standards. We source and supply quality products and also offer bespoke furniture designed by our interior design professionals. So if you’re looking to carry full interior redesign or simply make a few changes to your home, no job is too big or too small for our team. As a leading interior design company based in the Tees Valley our ultimate goal is to ensure that you end up with a space you will love for years to come. Take a look around, be inspired and get in touch. These two closely related professions are often mistaken for the same thing, however there are some significant differences to be aware of before deciding which to hire. An interior designer, sometimes known as an interiors architect, can run full renovation and structural design projects, and will use specialised knowledge of interior architecture, construction systems and components, building regulations, materials and furnishings to arrive at your dream home design. Interior design companies are able to plan spaces and room functions down to the last detail, and can help design and renovate interiors, from initial planning phases to placing the last decorative accessory. A decorator on the other hand will typically be involved only in the aesthetic layer, the “look and feel” of a space, and won’t be able to assist in renovations that require structural work. Interior decorators normally come on board after all structural work is complete. So choose your Saltburn-by-the-Sea, North Yorkshire interior designer according to the type of work you need. Why should I hire an interior designer in Saltburn-by-the-Sea, North Yorkshire? They say life is what happens while you’re busy making plans. Some of us are just too preoccupied with a career and/or family to think about colour schemes, wallpaper, flooring and lighting. A professional interior designer in Saltburn-by-the-Sea, North Yorkshire can save you bags of time, stress and months, if not years, of living in a half-finished home. It’s their job to stay on top of the latest trends and to have contacts and visual references coming out of their ears. Interior designers and decorators can also save you money, sourcing products via trade contacts or offering affordable alternatives to blowout iconic designs. 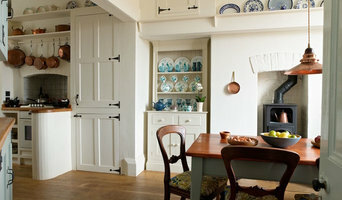 How do I choose the right Saltburn-by-the-Sea, North Yorkshire interior designer for my home? Good design and visual inspiration are all around us. Start by searching for interior architects and interior designers in Saltburn-by-the-Sea, North Yorkshire on Houzz. Keep a lookout for images of rooms and features that you really like and save them to your Ideabooks to begin to develop an understanding of your own style and taste. If you notice that photos from the same interior design companies are popping up regularly then that is a good hint that they could be your perfect design match. You can feel most confident if you hire an interior designer or interior design company in Saltburn-by-the-Sea, North Yorkshire that has completed work similar to the look and feel that you desire, whether that is a mix-and-match lounge oozing mid-century modern style, a pale and interesting minimalist bedroom with shots of colour, or a beautiful space inspired by Scandinavian design. How much does an interior designer in Saltburn-by-the-Sea, North Yorkshire cost? What are some of the important questions to ask Saltburn-by-the-Sea, North Yorkshire interior designers or interior decorators? Start searching for an interior design Saltburn-by-the-Sea, North Yorkshire professional in your area who can bring life to your interiors and reinvent your home for you. 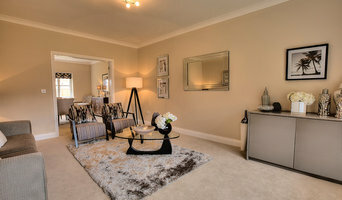 Look through reviews, projects and ratings to decide on the best interior designer in Saltburn-by-the-Sea, North Yorkshire for your taste and style.